King County Nannies through ABC Nanny Source are known for Professionalism! Jacqui has been serving proudly with King County Nannies in the community and is an excellent role model to children and nannies alike. “Jacqui has been a tremendous help and asset to our family. We originally hired her to be a part time mother’s helper. However, the position quickly turned into a full-time nanny job. Due to illness and injury, I was unable to care for my children, my home or sometimes even myself. Jacqui quickly adapted to the long hours and the nuances of our family. She became a full-time caretaker for me, my 4 year old daughter and 2 year old son. This included taking the children to the playground, bathing them and feeding them (she even helped to potty train my son). She did dishes, laundry, vacuuming and cooking (having to quickly learn to operate in a kosher kitchen). She drove me to all my appointments, helped me with my physical therapy at home, shopped for groceries and ran errands as needed. 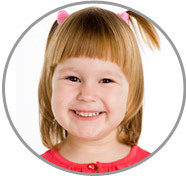 She is the most compassionate, quick to help and very attentive of King County Nannies. I have been very impressed by her work ethic and ability to adapt to difficult situations. Many days she worked 16 to 17 hours and on one occasion stayed with my children until 2:00 in the morning because I had to go the emergency room. Jacqui remained calm throughout and assisted me to the car, and assured me she would stay as long as we needed her. In short, she would be a great addition to any family."